Do Huggies Wipes Contain Glass Shards? Viral claims maintained that some lots of Huggies brand baby wipes are impregnated with tiny shards of glass. Okay just got off the phone they will be sending me a bank card to purchase of what I lost and I will also be SENDING IN A SAMPLE of the WIPES TO SEE WHAT WENT WRONG. I just really hope everyone is checking really close. These GLASS SHARDS are very tiny and can barely see but you can definitely feel them. Families put their trust in Huggies wipes every day, and all of our Huggies products have been thoroughly evaluated to ensure they are safe. In addition, we have stringent quality controls in place, and no glass is used during the manufacture of our wipes. As parents ourselves, we know you may have additional questions or concerns. Please don’t hesitate to contact us at http://bit.ly/8ZuAUH or by phone at 1-877-648-2484. 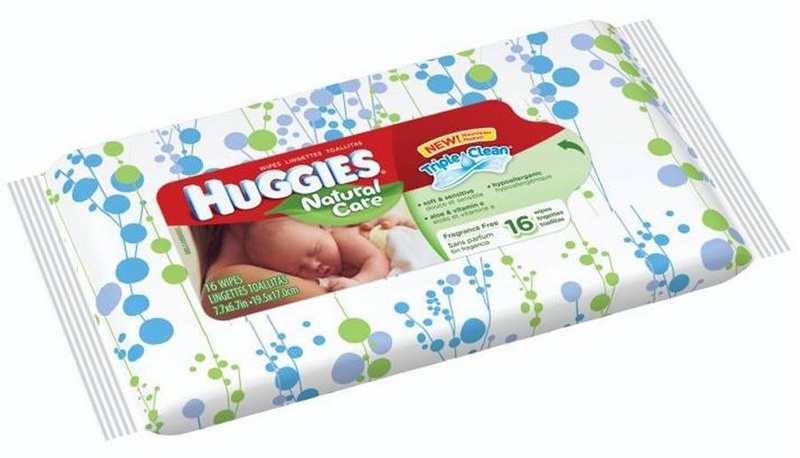 As the health and safety of the families who use our products is our top priority, Huggies take any concerns seriously. We have received the results of independent testing of three separate wipes samples retrieved from consumers. These samples were provided by three separate consumers in three different sections of the country. The testing confirms there is NO glass or fiberglass in the wipes — no glass or fiberglass is ever used in our manufacturing process.